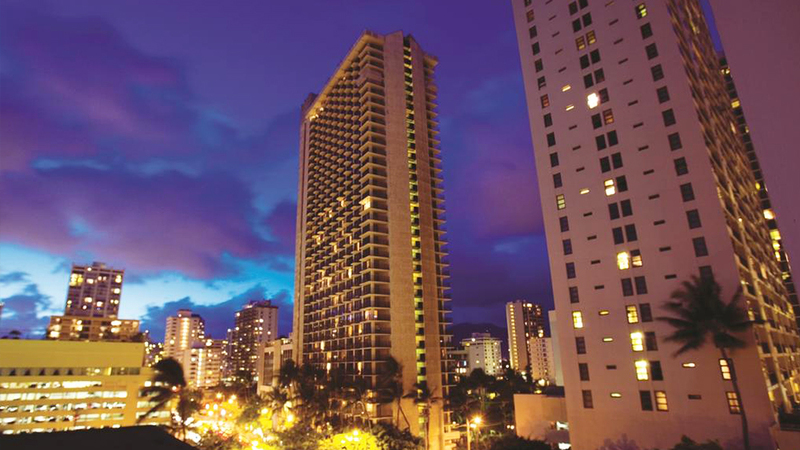 Stunning beauty, unmatchable class, and luxurious amenities all await you here at Waikiki Beach Marriott Resort and Spa. 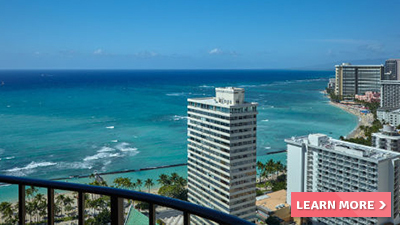 From the moment you step foot on the grounds you will understand why so many tourists book a stay at Waikiki Beach Marriott Resort and Spa for their vacations. 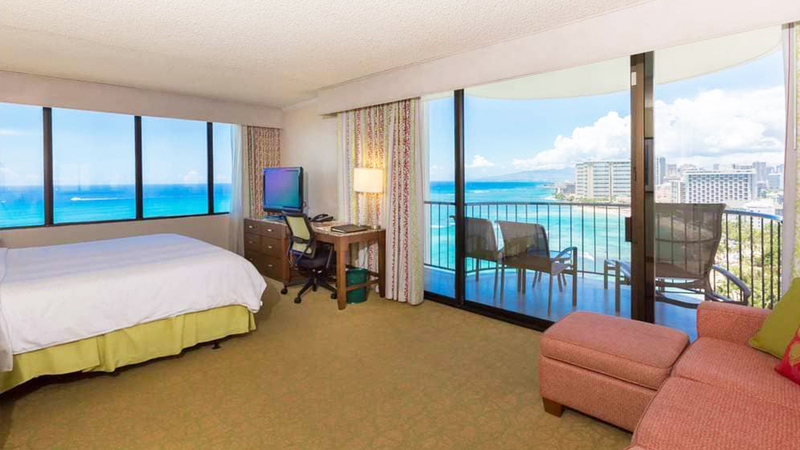 The stunning suites offer spectacular views of the lovely blue ocean as well as other sites around the area. 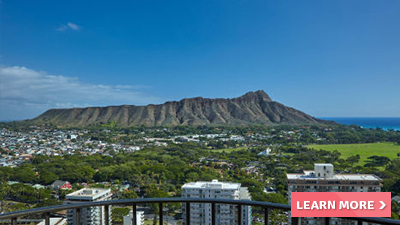 You can enjoy a comfortable bed, separate living area and your private balcony. 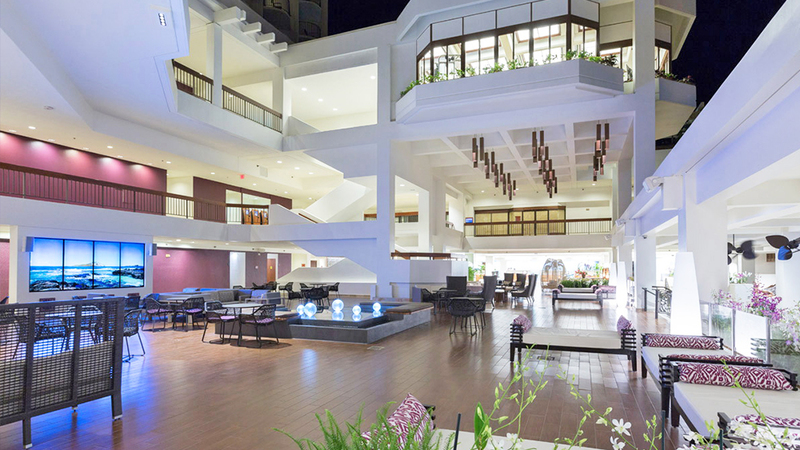 Take a wander around the Waikiki Beach Marriott Resort and Spa and take in the beautiful Ka Maka Hina artwork and Queen Lili’uokalani Historic Display. 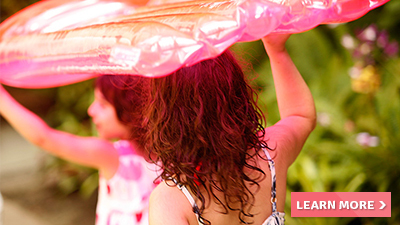 After breakfast at one of the delectable dining options you can enjoy the warm sunshine and tropical breezes on the perfect sandy beaches, or by lounging next to the exquisite pool. 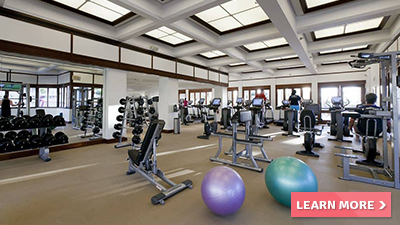 Take some time and work out your body in the state of the art fitness center with everything you need to get a full body work out. 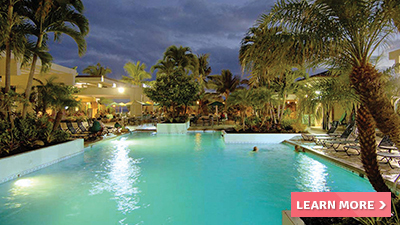 Don’t forget to book your visit to the onsite spa at this luxury hotel. The full service spa will leave you feeling refreshed and relaxed with a massage, hot stone therapy or facial. 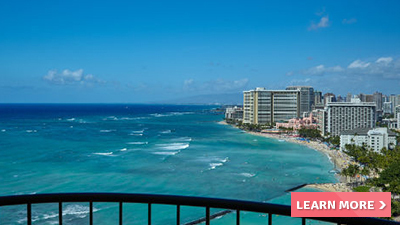 Besides just booking a vacation here at Waikiki Beach Marriott Resort and Spa you might also consider the resort for your travel destination wedding, vow renewal or anniversary celebration. 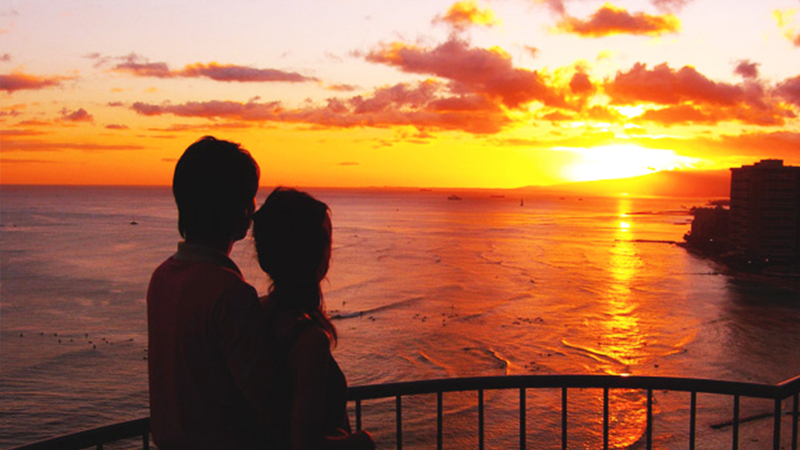 The romantic atmosphere and tropical weather makes this a perfect getaway for any occasion. 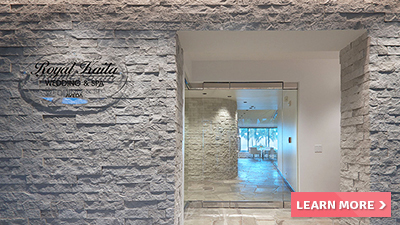 Royal Kaila Spa is an Aveda concept facility that features a full array of services at Waikiki Beach Marriott Resort. The experienced and dedicated Waikiki spa therapists provide quality care, all delivered within a luxurious and relaxing environment. 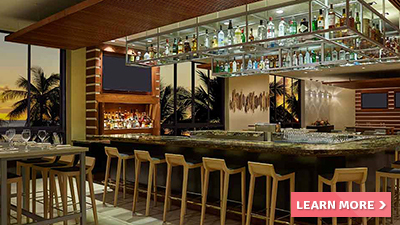 Featuring a spectacular view of Waikiki’s stunning sunsets and a brand new whiskey and bourbon cocktail program. 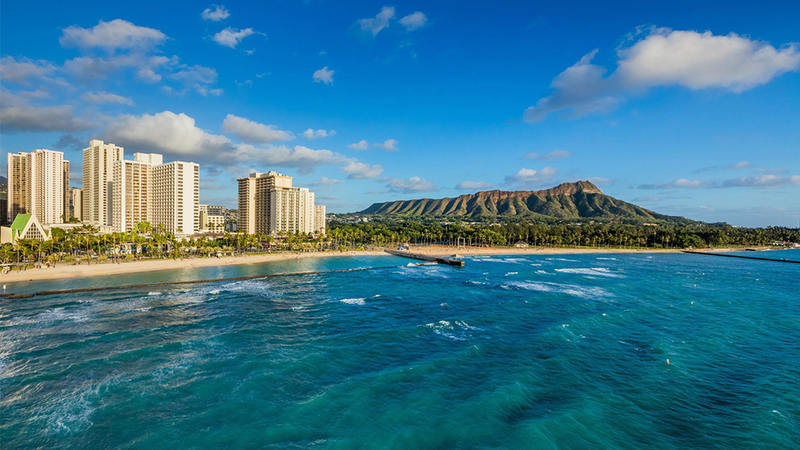 Kuhio Beach Grill serves a sumptuous breakfast buffet in the mornings and the new signature prime rib buffet is served nightly. 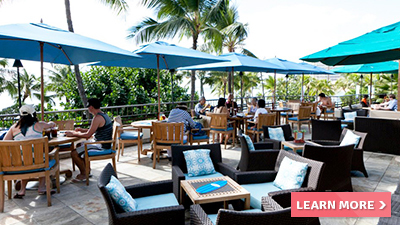 Featuring live nightly entertainment, this Waikiki restaurant’s poolside venue offers you a relaxing atmosphere to sit and eat or get up and dance to join in on the fun. 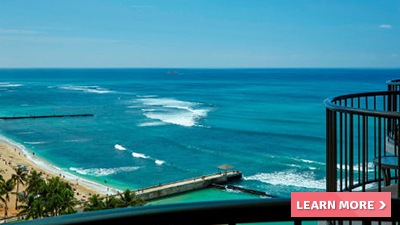 Serving its award-winning Asian-Pacific cuisine that has become a local favorite, this seaside eatery is famous for preparing mouth-watering seafood dinners for the welcomed guests. 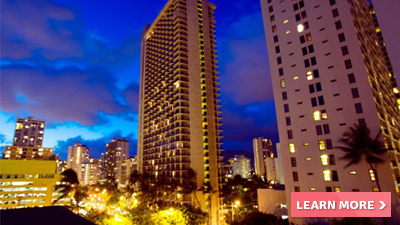 This Waikiki Beach hotel restaurant is a true American steakhouse serving dry-aged steaks cooked to perfection for a true treat during your vacation. 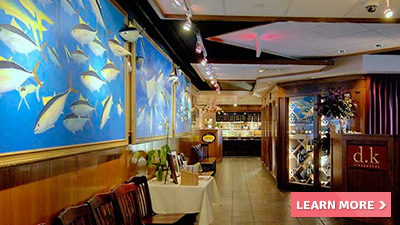 From medium-rare rib eye steaks to well-done filet mignons, this steakhouse is sure to please. 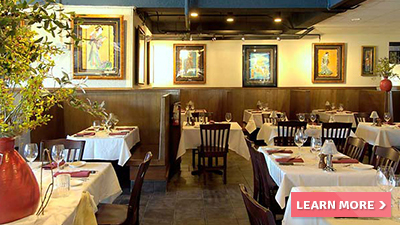 This on-site Italian restaurant proudly serves fresh, original and delicious Italian food that will have you coming back for more during your stay. 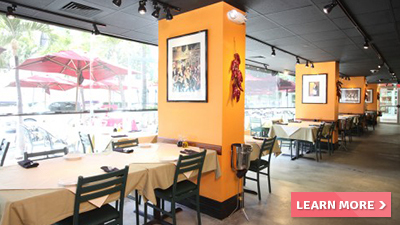 From bruschetta appetizers to classic spaghetti and mushroom risotto, enjoy a variety of delicious dishes. 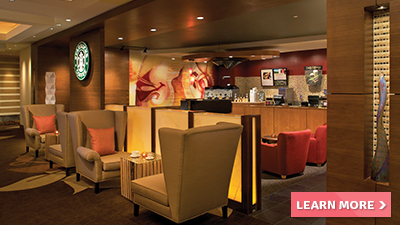 Wake up to fresh coffee or sip an icy beverage at one of the two Starbucks locations. 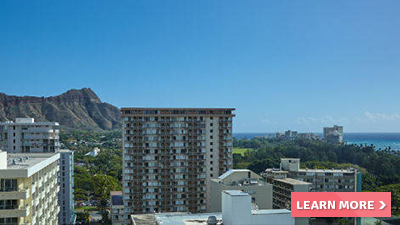 One is located in the lobby in Paoakalani Tower,and one along Ohua Avenue in Kealohilani Tower. 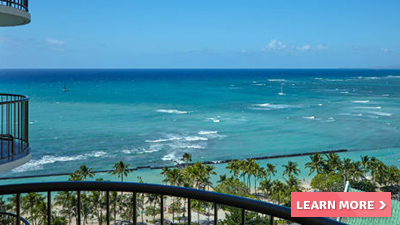 Situated steps from world-famous Waikiki Beach and the Pacific Ocean, this beachfront resort spans 5 acres of picturesque beauty and splendor. 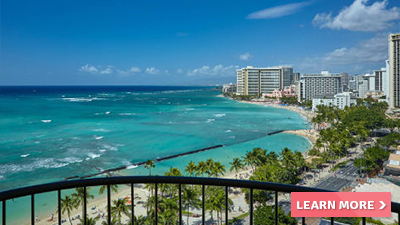 This resort features swaying palm trees and a fantastic location across from Waikiki Beach. 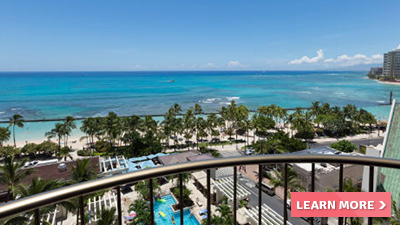 Unwind on your private balcony as soothing ocean breezes caress you, or relax poolside with an ice cold drink in hand. 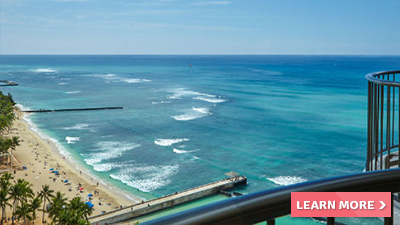 Let Waikiki Beach Marriott Resort and Spa sweep you off your feet.